The battle of Stoke, near Newark—the battle which saw the end of the hopes of Simnel and his upholders—was fought on 16 June, 1487. Five years afterwards Perkin Warbeck made his appearance in Cork as Richard Plantagenet Duke of York. 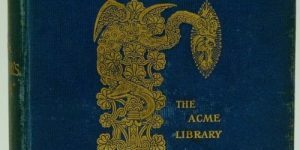 The following facts regarding him and his life previous to 1492 may help to place the reader in a position to understand other events and to find causes through the natural gateway of effects. To Jehan Werbecque (or Osbeck as he was called in Perkin’s “confession”), Controller of the town of Tournay in Picardy, and his wife, née Katherine de Faro, was born in 1474, a son christened Pierrequin and later known as Perkin Warbeck. The Low Countries in the fifteenth century were essentially manufacturing and commercial, and, as all countries were at that period of necessity military, growing youths were thus in touch at many points with commerce, industry and war. Jehan Werbecque’s family was of the better middle class, as witness his own position and employment; and so his son spent the earlier years of his life amid scenes and conditions conducive to ambitious dreams. He had an uncle John Stalyn of Ghent. A maternal aunt was married to Peter Flamme, Receiver of Tournay and also Dean of the Guild of Schelde Boatmen. A cousin, John Steinbeck, was an official of Antwerp. In the fifteenth century Flanders was an important region in the manufacturing and commercial worlds. It was the centre of the cloth industry; and the coming and going of the material for the clothing of the world made prosperous the shipmen not only of its own waters but those of others. The ships of the pre-Tudor navy were small affairs and of light draught suitable for river traffic, and be sure that the Schelde with its facility of access to the then British port of Calais, to Lille, to Brussels, to Bruges, to Tournai, Ghent, and Antwerp, was often itself a highway to the scenes of Continental and British wars. About 1483 or 1484, on account of the Flemish War, Pierrequin left Tournay, proceeding to Antwerp, and to Middleburg, where he took service with a merchant, John Strewe, he being then a young boy of ten or twelve. His next move was to Portugal, whither he went with the wife of Sir Edward Brampton, an adherent of the House of York. A good deal of his early life is told in his own confession made whilst he was a prisoner in the Tower about 1497. In Portugal he was for a year in the service of a Knight named Peter Vacz de Cogna, who, according to a statement in his confession, had only one eye. In the Confession he also states in a general way that with de Cogna he visited other countries. After this he was with a Breton merchant, Pregent Meno, of whom he states incidentally: “he made me learn English.” Pierrequin Werbecque must have been a precocious boy—if all his statements are true—for when he went to Ireland in 1491 with Pregent Meno he was only seventeen years of age, and there had been already crowded into his life a fair amount of the equipment for enterprise in the shape of experience, travel, languages, and so forth. 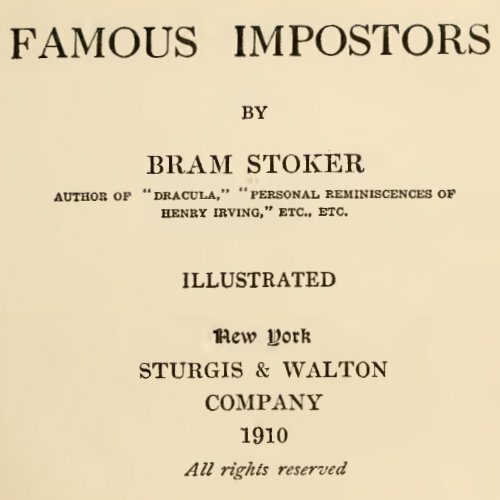 It is likely that, to some extent at all events, the imposture of Werbecque, or Warbeck, was forced on him in the first instance, and was not a free act on his own part. His suitability to the part he was about to play was not altogether his own doing. Nay, it is more than possible that his very blood aided in the deception. Edward IV is described as a handsome debonair young man, and Perkin Warbeck it is alleged, bore a marked likeness to him. Horace Walpole indeed in his Historic Doubts builds a good deal on this in his acceptance of his kingship. 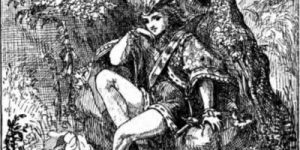 Edward was notoriously a man of evil life in the way of affairs of passion, and at all times the way of ill-doing has been made easy for a king. Any student of the period and of the race of Plantagenet may easily accept it as fact that the trend of likelihood if not of evidence is that Perkin Warbeck was a natural son of Edward IV. Three hundred years later the infamous British Royal Marriage Act made such difficulties or inconveniences as beset a king in the position of Edward IV unnecessary: but in the fifteenth century the usual way out of such messes was ultimately by the sword. Horace Walpole, who was a clever and learned man, was satisfied that the person who was known as Perkin Warbeck was in reality that Richard Duke of York who was supposed to have been murdered in the Tower in 1483 by Sir James Tyrrell, in furtherance of the ambitious schemes of his uncle. At any rate the people in Cork in 1491 insisted on receiving Perkin as of the House of York—at first as a son of the murdered Duke of Clarence. Warbeck took oath to the contrary before the Mayor of Cork; whereupon the populace averred that he was a natural son of Richard III. This, too, having been denied by the newcomer, it was stated that he was the son of the murdered Duke of York. It cannot be denied that the Irish people were in this matter as unstable as they were swift in their judgments, so that their actions are really not of much account. Five years before they had received the adventurer Lambert Simnel as their king, and he had been crowned at Dublin. In any case the allegations of Warbeck’s supporters did not march with established facts of gynecology. 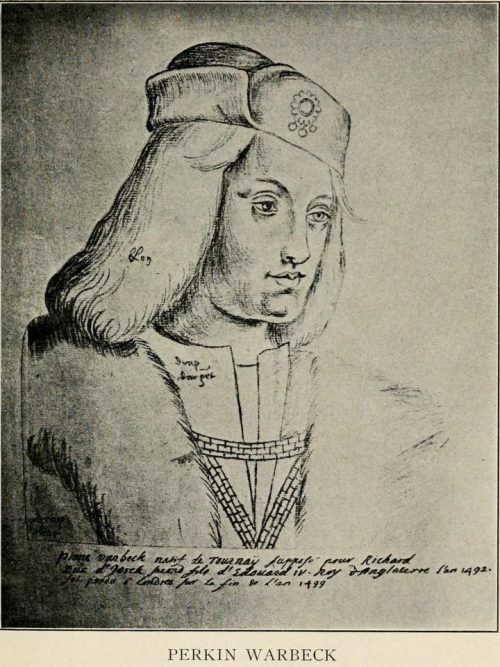 The murdered Duke of York was born in 1472, and, as not twenty years elapsed between this period and Warbeck’s appearance in Ireland, there was not time in the ordinary process of nature, for father and son to have arrived at such a quality of manhood that the latter was able to appear as full grown. Even allowing for an unusual swiftness of growth common sense evidently rebelled at this, and in 1492 Perkin Warbeck was received in his final semblance of the Duke of York, himself younger son of Edward IV. Many things were possible at a period when the difficulties of voyage and travel made even small distances insuperable. At the end of the fifteenth century Ireland was still so far removed from England that even Warbeck’s Irish successes, emphasised though they were by the Earls of Desmond and Kildare and a numerous body of supporters, were unknown in England till considerably later. This is not strange if one will consider that not until centuries later was there a regular postal system, and that nearly two centuries later the Lord Chief Justice Sir Matthew Hale, who was a firm believer in witchcraft, would have condemned such a thing as telegraphy as an invention of the Devil. After the battles of Barnet and Tewkesbury in 1471, Edward IV had but little to contend against. His powerful foes were all either dead or so utterly beaten as to be powerless for effective war. The Lancastrian hopes had disappeared with the death of Henry VI in the Tower. Margaret of Anjou (wife of Henry VI) defeated at Tewkesbury, was in prison. Warwick had been slain at Barnet, and so far as fighting was concerned, King Edward had a prolonged holiday. It was these years of peace—when the coming and going of even a king was unrecorded with that precision which marks historical accuracy—that made the period antecedent to Perkin’s birth. Perkin bore an unmistakable likeness to Edward IV. Not merely that resemblance which marks a family or a race but an individual likeness. Moreover the young manhood of the two ran on parallel lines. Edward was born in 1442, and in 1461, before he was nineteen, won the battle of Mortimer’s Cross which, with Towton, placed him on the throne. Perkin Warbeck at seventeen made his bid for royalty. It is hardly necessary to consider what is a manifest error in Perkin’s Confession—that he was only nine years old, not eleven, at the time of the murder of Edward V. Nineteen was young enough in all conscience to begin an intrigue for a crown; but if the Confession is to be accepted as gospel this would make him only seventeen at the time of his going to Ireland—a manifest impossibility. Of course Perkin Warbeck’s real adventures, in the sense of dangers, began after his claim to be the brother of Edward V was put forward. Henry VII was not slow in taking whatever steps might be necessary to protect his crown; there had been but short shrift for Lambert Simnel, and Perkin Warbeck was a much more dangerous aspirant. When Charles VIII invited him to Paris, after the war with France had broken out, Henry besieged Boulogne and made a treaty under which Perkin Warbeck was dismissed from France. After making an attempt to capture Waterford, the adventurer transferred the scene of his endeavours from Ireland to Scotland which offered him greater possibilities for intrigue on account of the struggles between James IV and Henry VII. James, who finally found it necessary to hasten his departure, seemed to believe really in his pretensions, for he gave him in marriage a kinswoman of his own, Catherine Gordon, daughter of the Earl of Huntly—who by the way was re-married no less than three times after Perkin Warbeck’s death. 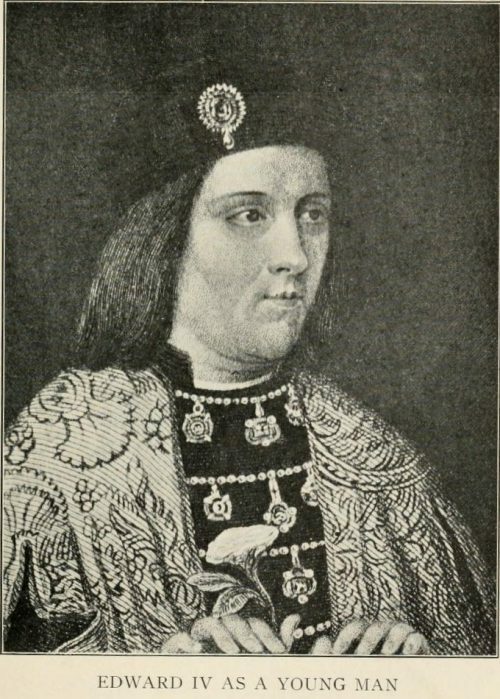 Through the influence of Henry VII, direct or indirect, Perkin had to leave Scotland as he had been previously forced from Burgundy and the Low Countries. Country after country having been closed to him, he made desperate efforts in Cornwall, where he captured St. Michael’s Mount, and in Devon, where he laid siege to Exeter. This however being raised by the Royal forces, he sought sanctuary in Beaulieu in the New Forest where, on promise of his life, he surrendered. He was sent to the Tower and well treated; but on attempting to escape thence a year later, 1499, he was taken. He was hanged at Tyburn in the same year. Pierrequin Warbecque’s enterprise was in any case a desperate one and bound to end tragically—unless, of course, he could succeed in establishing his (alleged) claim to the throne in law and then in supporting it at great odds. The latter would necessitate his vanquishing two desperate fighting men both of them devoid of fear or scruples—Richard III and Henry VII. In any case he had the Houses of Lancaster, Plantagenet and Tudor against him and he fought with the rope round his neck. An Act of Parliament, 1 Richard III, Cap. 15, made at Westminster on the 23 Jan., 1485, precluded all possibility—even if Warbeck should have satisfied the nation of his identity—of a legal claim to the throne, for it forbade any recognition of the offspring of Lady Elizabeth Grey to whom Edward IV was secretly married, in May, 1464, the issue of which marriage were Edward V and his brother, Richard. The act is short and is worth reading, if only for its quaint phraseology. Cap XV. 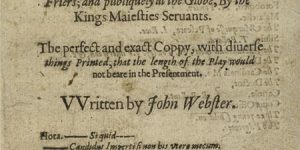 Item for certayn great causes and consideracions touchynge the suretye of the kynges noble persone as of this realme, by the advyce and assente of his lordes spirituall and temporal, and the commons in this present parliament assembled, and by the auctorite of the same. It is ordeined established and enacted, that all letters patentes, states confrymacions and actes of parlyament of anye castels seignowries, maners, landes, tenementes, fermes, fee fermes, franchises, liberties, or other hereditamentes made at any tyme to Elizabeth late wyfe of syr John Gray Knight; and now late callinge her selfe queene of England, by what so ever name or names she be called in the same, shalbe from the fyrst day of May last past utterly voyd, adnulled and of no strengthe nor effecte in the lawe. And that no person or persons bee charged to our sayde soveraygne lord the Kynge, nor to the sayde Elyzabeth, of or for any issues, prifites, or revenues of any of the sayde seignowries, castelles, maners, landes, tenementes, fermes or other hereditamentes nor for any trespas or other intromittynge in the same, nor for anye by suretye by persone or persones to her or to her use—made by them before the sayde fyrst daie of May last passed, but shalbe therof agaynste the sayd Kynge and the sayde Elizabeth clerly discharged and acquyte forever. In the above memorandum no statement is made regarding Jane Shore, though it may be that she had much to do with Perkin Warbeck.